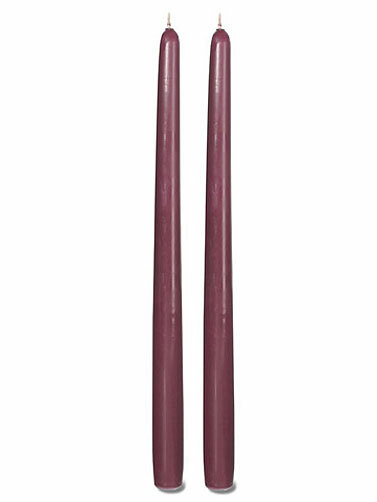 These unscented Dark Red taper candles measure 12"H. Burn time is usually 3-4 hours. Due to the nature of the dipping process involved in making taper candles, base size may vary. A candle shaper and/or wax candle fitters may be necessary to ensure a good fit into a standard holder. Set of 2.